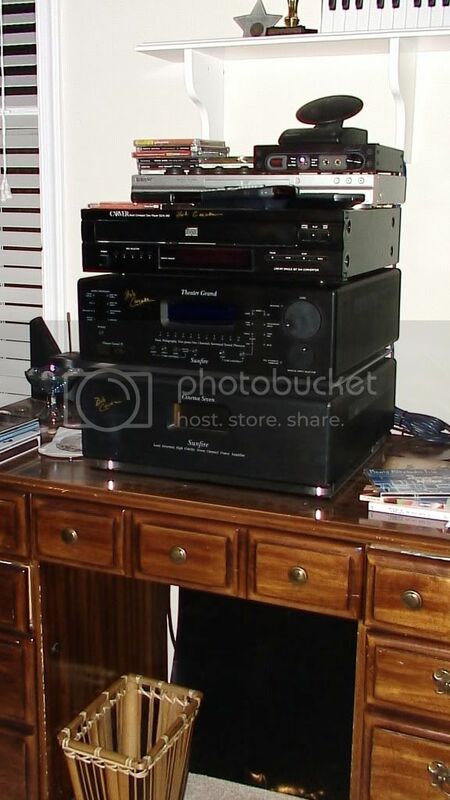 I see many people here stacking amps sometimes 4 or 5 high etc.Has anyone here had any problems with overheating?Is it ok to put a TFM-15CB on top of a TFM-35? It's all about AIRFLOW & space between components. Agree with Rabbit. I have two 55's stacked that have served me well since new. However, I also have them on risers that allows airflow between them. Please post a pic of your "risers". Hey you beat me to the punch. I have a pair on order. You have a lot of good junk. Read that ad carefully, OO--it says it is not to exhaust but to move air WITHIN the rack......wtf?!? Don't have one, but considered it last Summer when we both discovered how hot the BenchMark DAC gets. At any rate, I suspect if air is moving at a good rate, it has to go somewhere (out?). The deal on that high dollar Parasound one is silent operation, but I cannot vouch for that. Last Summer, I added a small, silent (personal) fan I got at Staples out here to blow on me and my stuff. I don't know if it made any difference , but will bring it out here again as the weather warms back to 100+ days. I built this computer out here with a solid state drive just because of heat. It has a tiny CPU. On a normal computer, you let the fan go 'north', and the CPU will quickly overheat and the computer will crash. A fan is a good thing, and sometimes essential. 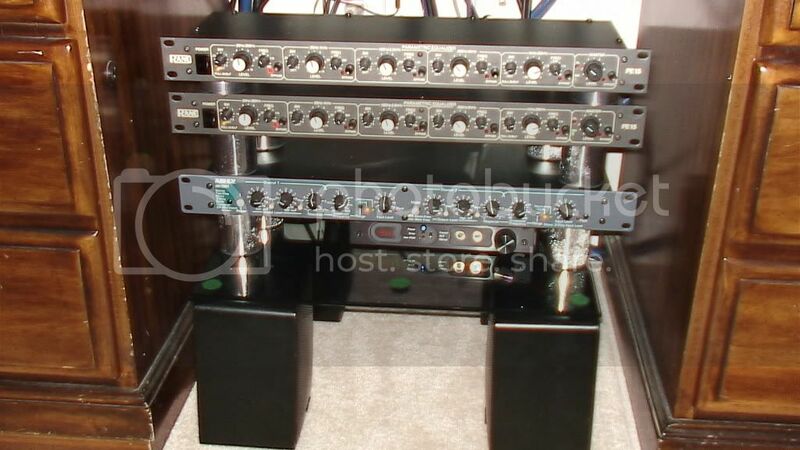 Gary, you should buy a rack rail and cut it down to size for those EQs and XO. 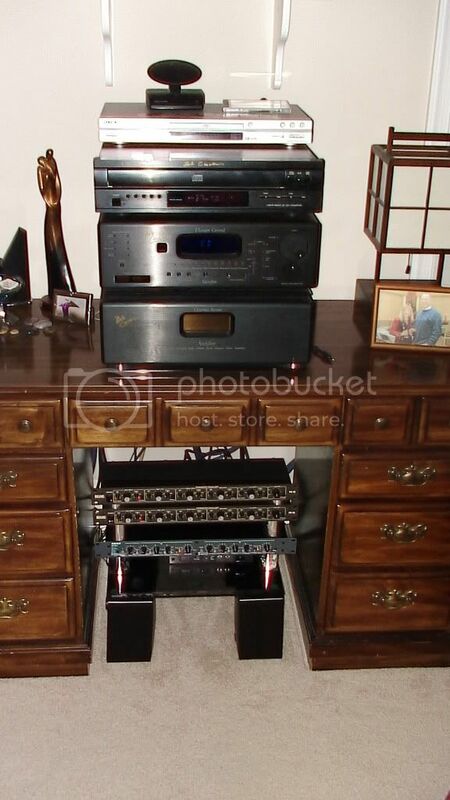 Then you could have a nice stacked control box on one set of risers. [quote="OconeeOrange"] OconeeOrange wrote: Last Summer, I added a small, silent (personal) fan I got at Staples out here to blow on me and my stuff. OconeeOrange wrote: OconeeOrange wrote: Last Summer, I added a small, silent (personal) fan I got at Staples out here to blow on me and my stuff. Just looked at the manual for the TFM-35.It says not to put anything on top of it.I will not. 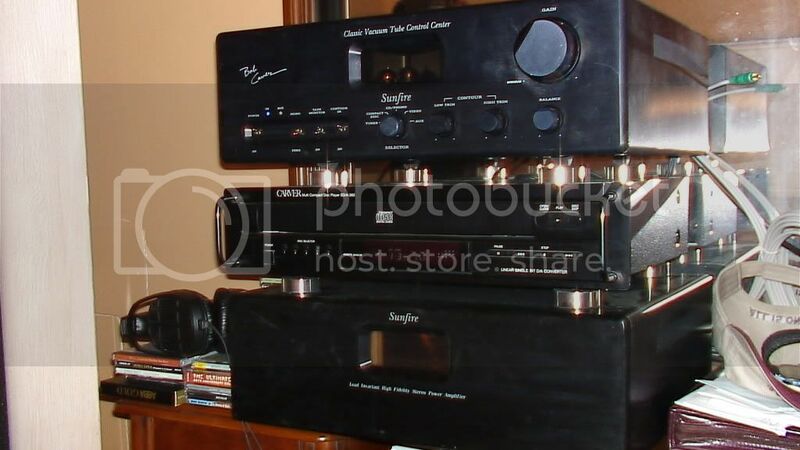 I NEVER stack amplifiers! That would just be wrong!